LOS ANGELES (AP) — A Southern California doctor was arrested Tuesday on charges of doling out drugs to patients he didn’t examine and is alleged to have prescribed drugs to five people who died of overdoses as well as an impaired driver who struck and killed a bicyclist, federal prosecutors said. Dr. Dzung Ahn Pham, 57, faces charges of illegally distributing powerful opioids and prosecutors said he prescribed drugs to addicts or people selling them on the street. He prescribed some drugs after receiving text messages requesting specific quantities and doses, prosecutors said. “This case clearly and tragically illustrates the dangers of drug dealers armed with prescription pads,” said U.S. Attorney Nick Hanna. A phone call and email seeking comment from Pham’s lawyer were not immediately returned. Phone calls to Pham’s urgent care clinic in Irvine and a number listed for his home were not answered. Pham’s record of prescribing large amounts of pills led a CVS pharmacy to stop accepting prescriptions from him more than five years ago when he couldn’t justify the number of pills patients were picking up, prosecutors said. State officials were aware of improper prescribing practices years before that, according to records at the Osteopathic Medical Board. Pham was reprimanded by the board in 2007 after being accused of excessive prescribing to an addict without a proper examination. Pham acknowledged he failed to recognize a patient was an addict seeking drugs. The board noted in his favor that Pham had never been disciplined before and the case involved a single patient. He was ordered to complete courses on prescribing medications, record keeping and had to participate in a clinical training program. Between 2014 and 2017, Pham wrote prescriptions for five people who died from overdoses, prosecutors said. He’s not charged in those deaths, but those investigations are ongoing, said Thom Mrozek, a spokesman for the U.S. attorney. In November, a driver who fatally struck an off-duty firefighter training on his bike for a triathlon told investigators he was on drugs prescribed by Pham, prosecutors said. Several prescription bottles with Pham’s name were found in the driver’s car. 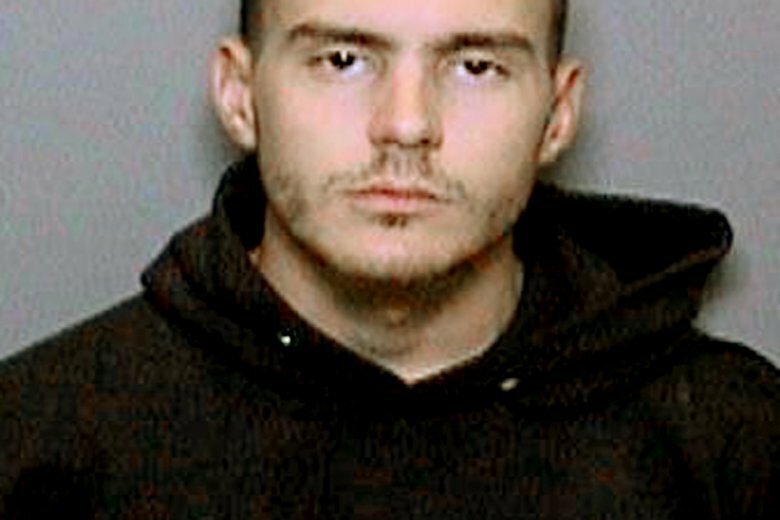 Orange County prosecutors have charged Stephen Scarpa, 25, with murder in the death of Costa Mesa fire Capt. Mike Kreza. The death came a few months after an undercover Drug Enforcement Administration agent was able to quickly score from Pham what is referred to as the “holy trinity,” three types of potent drugs, the affidavit said. Pham directed the agent to an Irvine pharmacy that filled many of his prescriptions. Pham has been under investigation by the agency since 2015, according to the affidavit by DEA Special Agent Lindsey Bellomy. A statewide database showed Pham wrote more than 52,000 prescriptions in the three years leading up to October 2017 — an average of more than 300 a week — which is “extremely high,” Bellomy noted. The vast majority went to people in their 30s and 40s, which indicates a high likelihood of abuse or black market sales. The affidavit filed with the charges described Pham’s text messages, including an exchange that referred to the shooter who carried out the massacre last month at the Borderline Bar and Grill in Thousand Oaks. Pham texted someone to say he heard that gunman Ian Long had prescriptions that Pham had written for someone else. “I never saw Mr. Long before so I don’t know the implication of this information,” Pham wrote in a text. The person he was texting responded by trying to reassure Pham he was in the clear if the prescriptions were not written to Long. “If I give my meds to some crazy person its (sic) on me, not you, you have no control over what happened after a patient leaves your office,” the person replied. Long killed himself after fatally shooting 11 and wounding a responding officer who died from a fellow officer’s bullet during a shootout. The court document does not provide any information on whether Long possessed any prescriptions written by Pham and prosecutors would not provide any more information on the subject. Another text exchange indicated Pham was having a sexual relationship with a patient, the affidavit said. He was prescribing drugs to that woman and also to her 9-year-old daughter. The criminal complaint said Pham charged $100 to $150 a visit at his clinic and deposited $6.7 million into bank accounts between 2013 and September. If convicted of the charges, Pham could face up to 40 years in prison, prosecutors said.